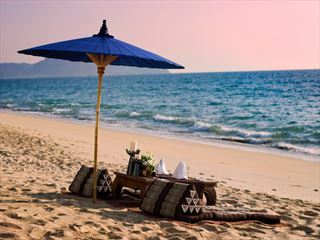 The resort is set directly on beautiful, quiet Mai Khao Beach. 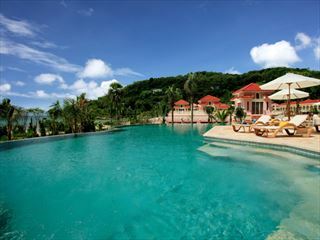 The resort is just 15 minutes’ drive from Phuket International Airport. 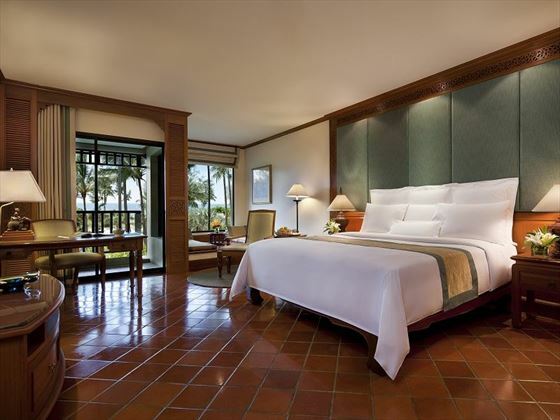 Deluxe Garden – rooms with a choice of king-bed or 2 double beds sleep up to adults and 2 children. They have views of the lush gardens and a balcony. 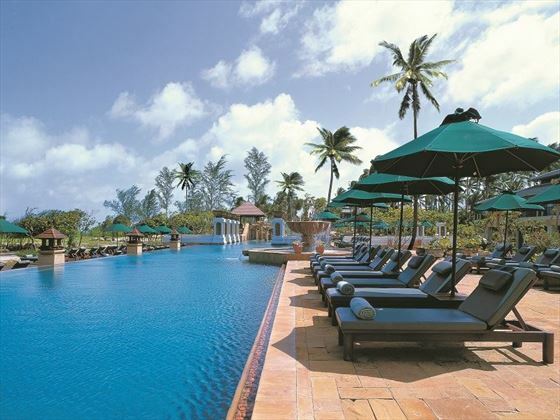 Deluxe Terrace –as above but these rooms are on the ground floor with private terrace with sun loungers. This are garden facing terraces or pool facing options. 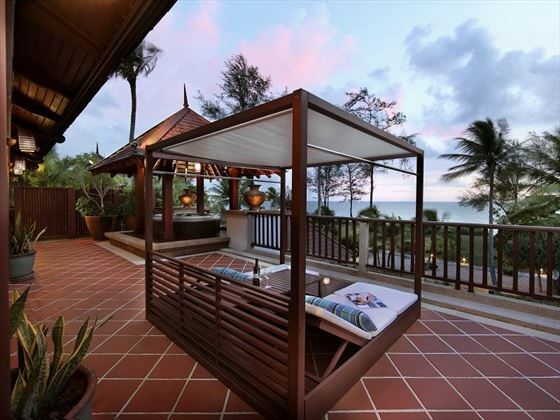 Deluxe Sea View – rooms with a balcony facing out to sea. Ocean Front Suite – Gorgeous suites for special occasions such as a honeymoon. 1 bedroom with king-bed, spacious living area and bathroom with whirlpool bath for 2 and a wonderful private terrace overlooking the sea with your own whirlpool sala and four poster day bed. Ocean Front Pool Suite – 1 bedroom, spacious living space and huge terrace with private plunge pool. Ocean Front Family Pool – 2 bedroom suite with 1 king bed, 1 double bed and 2 bathrooms. Fabulous plunge pool and outdoor space. Royal Villa – Huge oceanfront villa with over 700 sq of space. 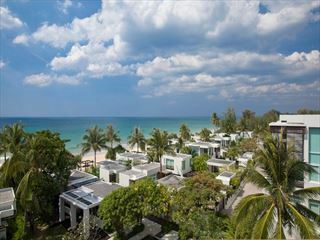 2 king-bedded rooms each with a luxury bathroom separated by spacious living space that opens onto a private pool terrace. 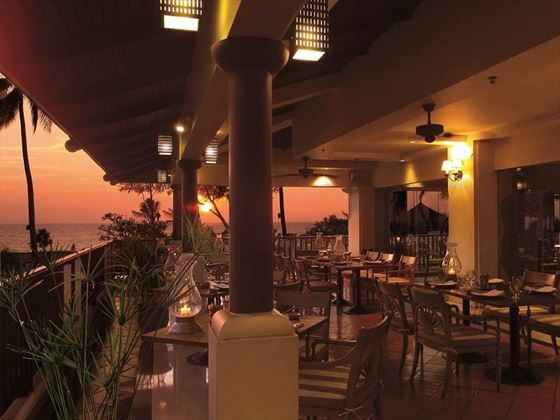 Andaman Grill – named for its sea view; it’s a candle-lit outdoor dining experience with fresh catch of the day and steaks on the grill. Marriott Café – international and relaxed with a great breakfast buffet. Siam Deli – sandwiches, coffee and salads to go. Kabuki Japanese Cuisine Theatre – dinner with entertainment as you observe live Teppanyaki chefs. 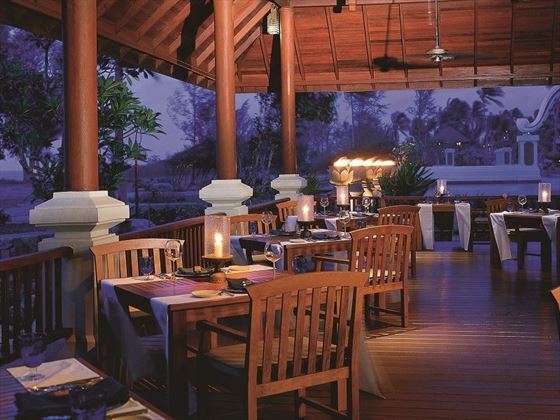 Ginja Taste – open for dinner for Thai and specifically Phuket specialities. Cucina – Italian restaurant with take-away pizza options. 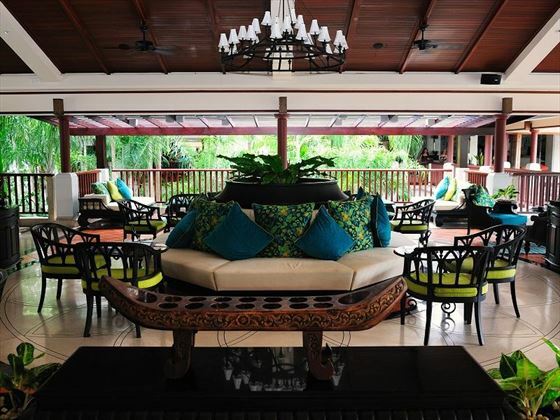 Out of the Blue – live music, tapas and a great wine list by night and tapas and a swim up bar by day. Three large swimming pools and a whirlpool; one has a dedicated kids pool, one is a tranquil adult pool and the third pool enjoys a swim up bar. 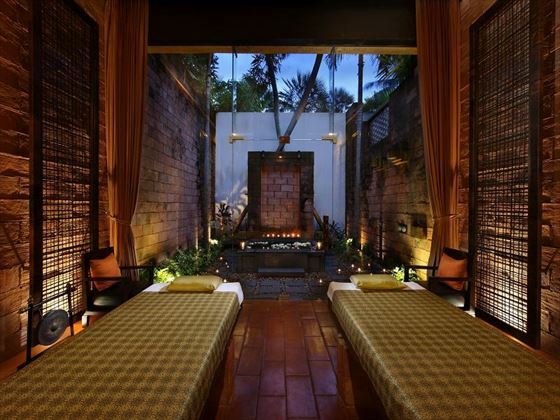 Mandara Spa –a fully inclusive spa menu where Thai treatments are joined by Ayurvedic massage, Hot Stone therapies and Elemis facials. 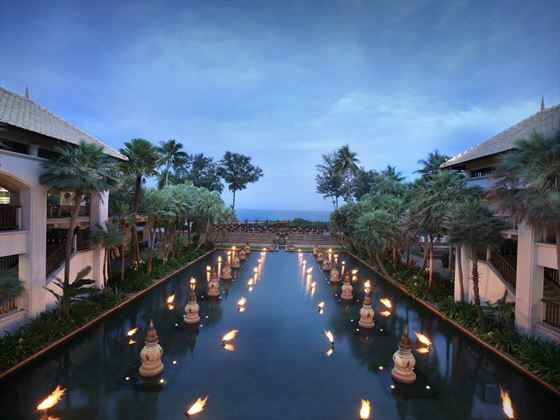 Purify your skin with a number of specialist wraps and scrubs made from fresh local ingredients or indulge in traditional Thai bathing and steam rituals. A perfect space for some ‘me-time’ but if you are traveling as a family, the little ones can join you at the Spa for a little treat of their own. Children have their own pool with a slide and a kids club with varied activities (some are complimentary, some are chargeable). 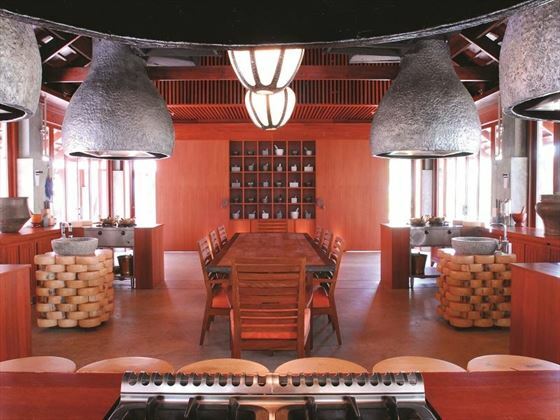 For something different and a great way to explore Thai culture, you can partake in the cookery school as a family. 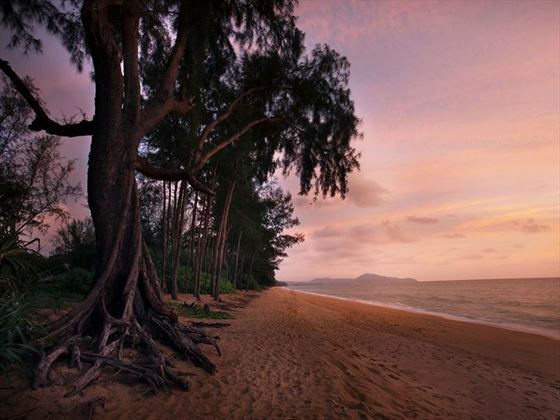 Take home some useful new skills and the children will have a new love of fresh Thai herbs. 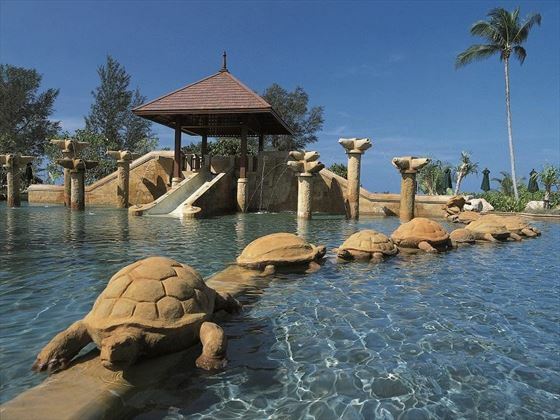 There are also Turtle education classes are at the in-house turtle centre.